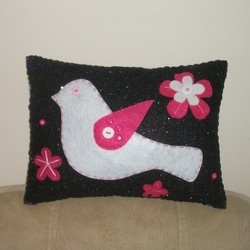 Gorgeous A4 sized felt decorative bird cushion. Blue with red and white decorations. Photos really don't do this justice at all. Different combination of colours available. 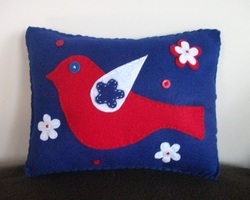 Gorgeous A4 sized felt decorative bird cushion. Black glitter with pink and white decorations. Photos really don't do this justice at all. 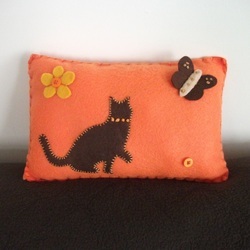 24cm x 16cm orange cushion with a beautiful brown cat and butterfly whose wings aren't sewn down to give it a 3D effect. 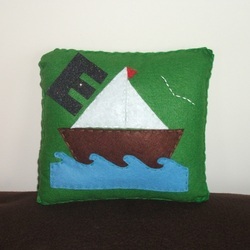 23cm x 22cm boat cushion, personalised with a black glitter initial in the top corner. All hand stitched for a beautiful effect. 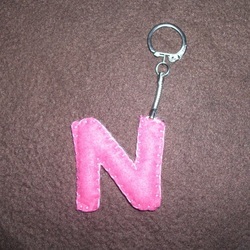 Filled slightly with toy filling, two pieces of felt are hand cut and sewn together to make this lovely keyring. 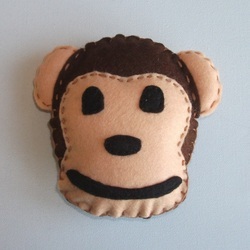 Boris the Monkey is very soft as his face and head are both filled with soft toy stuffing! 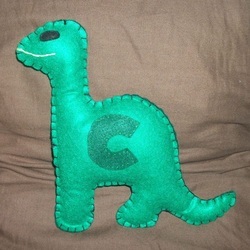 Picture shows one dark blue and one light blue peice of felt blanket stitched together with a bright green dinosaur stitched on the front with a cheeky grin and a blue button for an eye. 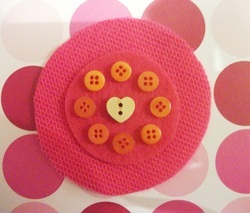 Twine handles are sewn into the felt securely. Perfect gift for all ages, would make an unusual little present for a new born baby or birthday present for any little boy! 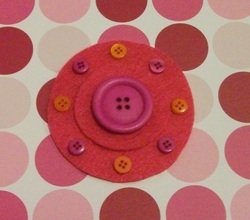 One darker pink and one light pink rectangles of felt stitched together using blanket stitch. 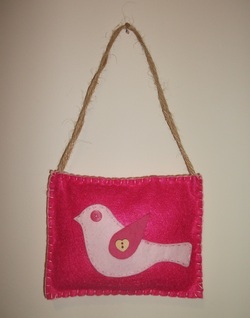 Contrasting pink felt bird with a pink button for an eye and a wooden heart button on the wing. 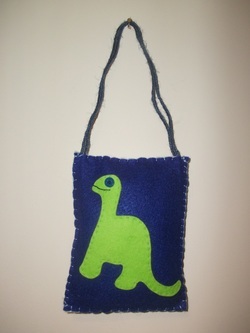 Jute twine sewn into the felt to make little handles. 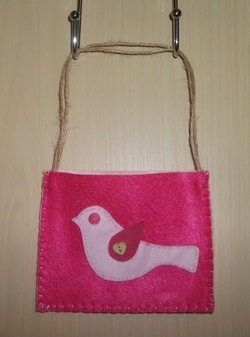 Very cute felt handbags that are perfect for little girlies! These would be perfect presents for little girls,make alternative gift bags for weddings, or could be hung up on the wall with girly bits and bobs in! 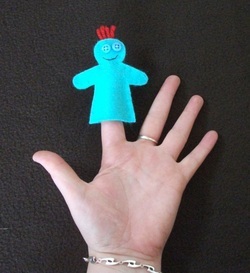 These lovely finger puppets are a great way to keep little (and possible big) ones entertained. 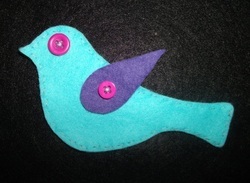 Berty is light blue felt, purple felt wing, with pink buttons for an eye and on the wing. 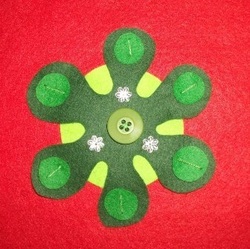 Double layer of felt with both sides hand sewn with silver thread. Berty's brother's and sister's come in all kinds of colour combinations! 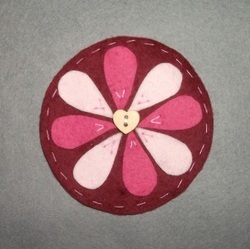 Iris is made using two layers of maroon felt that are sewn together, alternating dark and light pink petals and a lovely wooden heart shaped button. I actually sold the one pictured combination 30 mins after advertising it! Everybody meet Flo, she's not from round here but she's lovely! Her party trick is being able to wobble her eyes independently of each other! 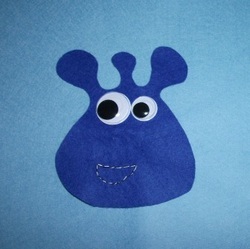 Flo is dark blue felt but her brothers and sisters come in all sorts of colours! Ceri's twin brother and sisters come in all sorts of colour combinations. 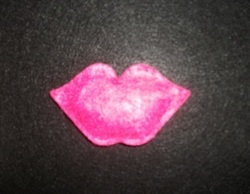 Lucy is a luscious set of padded lips. She can put whatever lipstick colour you want too! 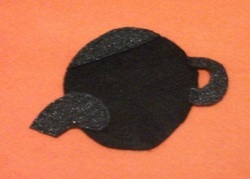 Tony is a little tea pot, this Tony is special as it's made using plain black felt and limited supply black glitter felt too!